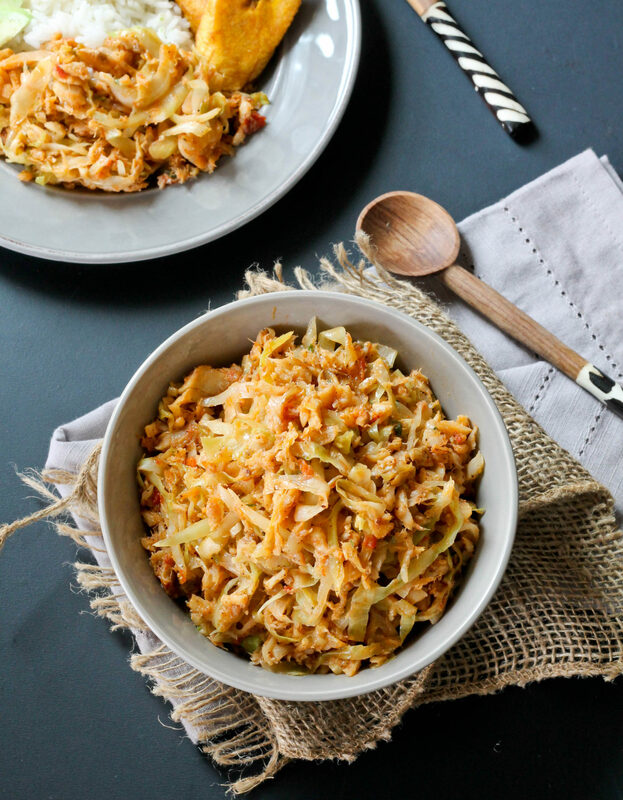 Cabbage and Saltfish is another quick and easy weeknight meal that requires minimum effort. 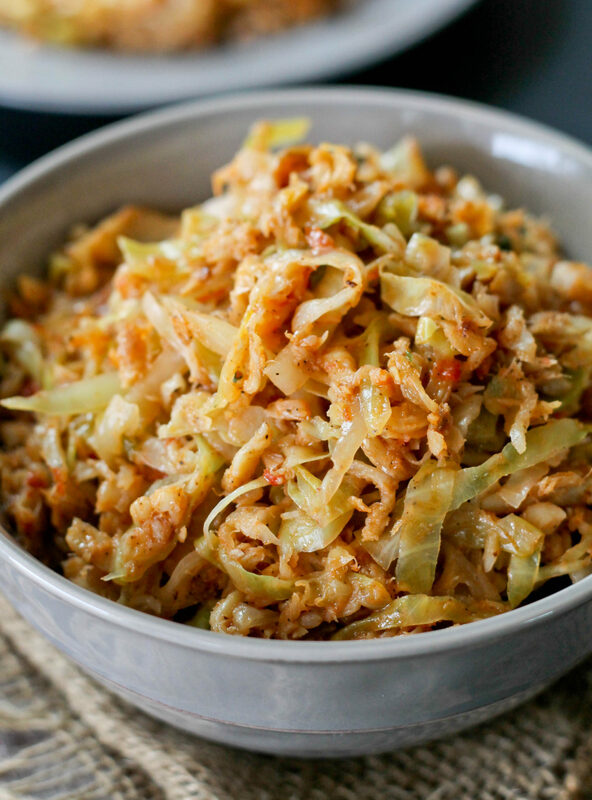 The saltiness of the salted cod goes well with cabbage; this combination is perfect eaten with rice. 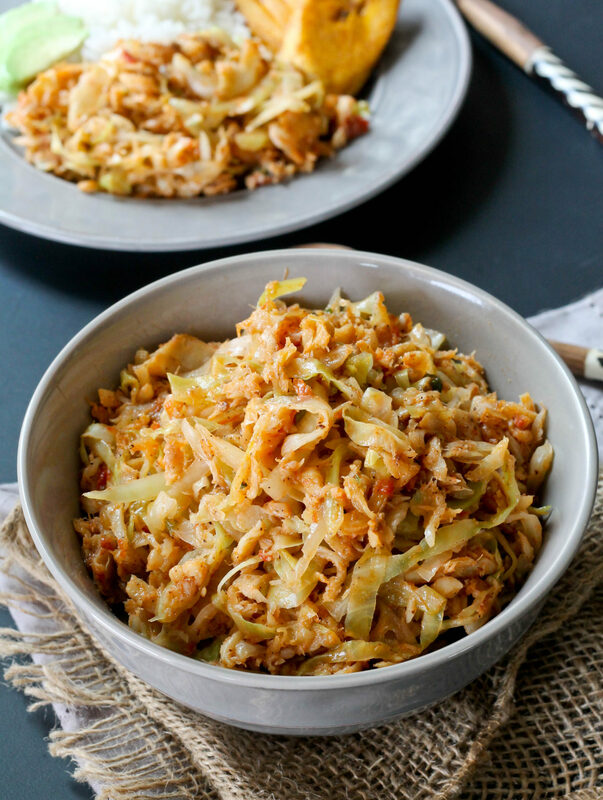 Over the years I’ve cooked cabbage in many ways and saltfish as well but for some odd reason, never together. I’ve made saltfish patty, ackee and saltfish fritters, saltfish fried rice, callaloo and saltfish, pork and cabbage and steamed cabbage but those two ingredients wer3 never combined. Thankfully, I did and this is definitely will be on the menu more often. I try not to cook saltfish too often but once a month won’t hurt. 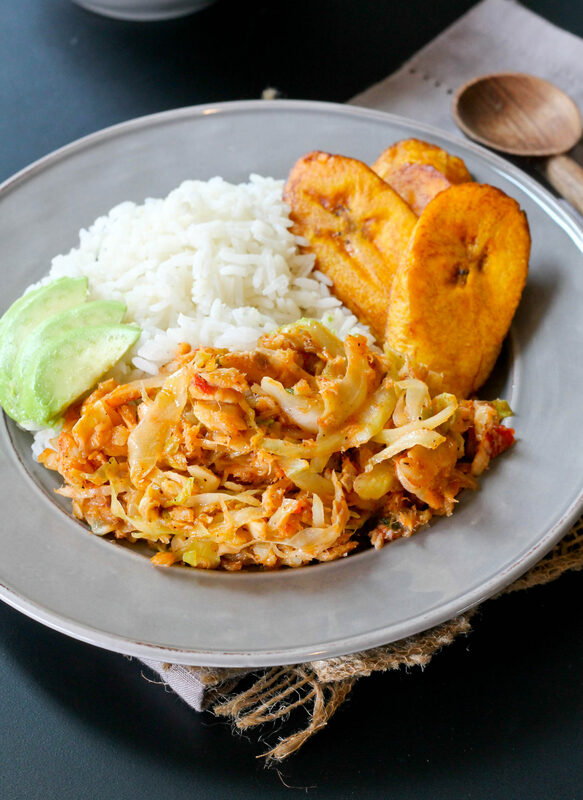 In this dish the cabbage is finely chopped and the saltfish is finely shredded, which means every bite is loaded with both. This combination is not to be overlooked, and is surprisingly good. I served this with rice and fried plantain for lunch and everyone was pleased. Give it a try, you won’t be disappointed! In a frying pan add oil. When oil is hot add garlic, ginger and onion and fry for a minute. Add salt fish and a splash of lime juice and cook for 5 minutes stirring occasionally. Next add tomato paste and tomato and cook for about 5 minutes until the tomatoes begin to break down. Add scallion, black pepper and cabbage and cook until the cabbage has softened about 10-15 minutes.